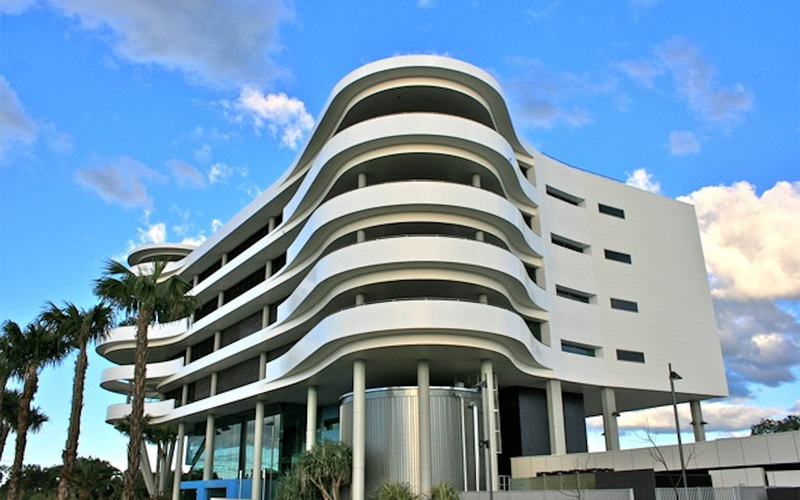 This is the central offices for the port of Brisbane and was a unique building with a central atrium. With stunning views of the Bay, the atrium connects the offices to outside and Ferm Engineering developed an open roof design that allows breezes and ambient conditions to be infused into the building. In adverse conditions, the roof closes. 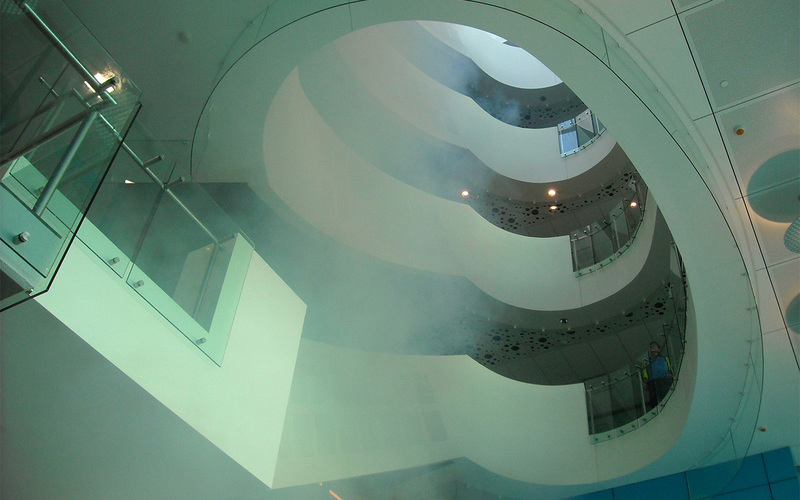 In a fire condition, the roof opens and smoke control systems specifically developed, move smoke up like a chimney to evacuate smoke clearing egress paths and enhancing performance over a DtS approach. Fully developed under fire dynamic modelling, Ferm Engineering also tested and commissioned these systems and demonstrated the close relationship of the models to actual performance.